Steroids are alternative synthetic form of body hormones that many of the physique conscious people consume. 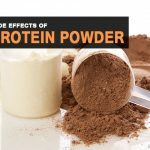 While the most widely used ones are the Anabolic Androgenic Steroids knows as AAS, it is popularized as it is an alternate for Testosterone, which is consumed by mouth or injected to build on strength and muscle. 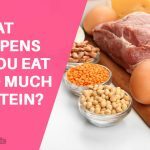 Though its side effects are well known to its consumers, the temptation if getting a desired body can make many overlook these long lasting ill effects. Here we have discussed on some major side effects and how they affect the ones consuming steroids. Have a look! When women tend to consume steroids for developing their body, they need to be aware that this can lead to excessive levels of steroid consumption leads to high level of male hormone, the testosterone in the body. This makes them more manly by producing more facial hair, severe acne, vast mood swings and increased irritability. Likewise when men consuming high levels of steroid , their male hormone, testosterone converts into female hormone estrogen, leading to more women like features. It can cause male breasts, lowered sperm count, impotence and reduced testicles. Hence medical advice is very important before starting the consumption steroid. Steroids increase the bad cholesterol level in the body by which can lead to blocking of the blood vessels thus making the consumers prone to heart disease and strokes. Steroids lead to weight gain that can hamper levels of blood pressure usually leading to High Blood Pressure. Both of these can lead to cardiovascular disease that would need longer span of treatment to get cured. 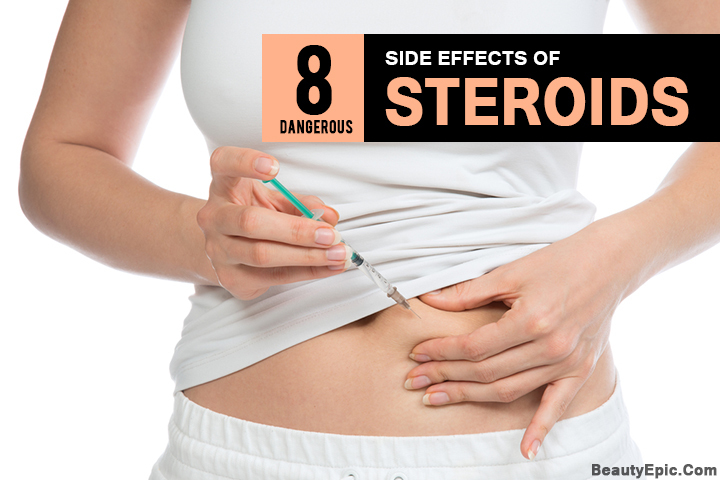 When one stats consuming steroids at a young age, usually in teens, the effect of Steroid can be more harmful when compared to being an adult. The consumption can lead to the closure of the growth plate that is responsible for growth of an individual evenly during various phases of growing. This can lead to stunted growth and induced dwarfism in a few. The toxic content in steroids can damage any organ. But most severely affected is the Kidney. The Kidney can get intro stress and thus causing an electrolyte imbalance in the body. This malfunctioning can lead kidney failure, and one might need dialysis to curb this problem in due course of time. With muscle and fat gain being the common outcomes of consuming steroids, one must understand the ill effects carefully. Excessive fat gains make the emulsification process of the liver get slow, thus causing fat deposit on the liver. As the bile juice production can be affected by the consumption of steroids, this can lead to severe liver problems down the lane. The skin is most sensitive to steroids. Consumption of steroids can lead to severe acne and might lead enlarged pores. The flexibility to stretch the skin is affected and can lead to severe stretch marks with such hindering weight and muscle gain. Not may a times these over the counter medicines can be of any solution. Seeking medical attention is extremely important. When the steroid taking happens in a non sterile condition, which could include a contaminated needle or some illegally prepared steroids, the risk of infections becomes severe and can be life threatening, It can lead to HIV, Hepatitis and also Endocarditits that can all be fatal. Steroids can sometimes cause cataracts or glaucoma or worsen these conditions if they are already present. Some steroids caused blurred vision may be temporary and not serious. 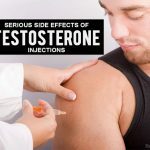 There is a suspected psychologically addictive aspect to steroids use that leads users to become addicted to the way they feel on steroids and the way them look- possibly leading to continued steroid abuse. This could turn or have ailments that can’t be cured. Hence we suggest seeking medical attention if any of these side effects occur. The Best Hours Of Sleep: Women Have To Sleep Longer Than Men?